The course is 5000m (5K) long. The course is at Wotton Community Parc, Wotton-under-Edge. The course is run on a mixture of gravel paths and grass. Some sections of the course may accumulate mud, leaves and puddles after rain. Dependent on availability, marshals will be at key sections of the course, or signs will be in place. Unfortunately dogs are not welcome anywhere on the site and are not welcome at this event. We hope these tips help to ensure that Wotton parkrun is fun and safe for everyone. From the start next to the 3G football pitch, follow the grass then gravel track, past the finish funnel and run down the slope to the dip and then up to the New Road gate. From here, turn left and keeping the hedge on your right, continue along the mown path around the edge of the field and back to the dip in the middle of the site. Take the path on your right past the barn and continue along the mown path around the rugby pitch back to the start point. Do not run down the main gravel track again, instead, keeping the hockey pitch on your right, follow the mown path around this field and continue back to the middle of the site. Turn right through the gap in the hedge and then turn immediately right and up a gentle incline past the skate park - this will loop you around to the New Road gate. Do this complete lap one more time! When you get to the New Road gate after your second full lap, turn left and run back down the gravel path to the dip, and finally up the path to the finish funnel. This is a cross-country course. The course runs over mainly grass with some gravel tracks and can be muddy in the winter. Dogs are prohibited anywhere on the site and therefore are not welcome at this event. There are two ‘Abbey Loos’ situated at the site. One by the New Road gate and one near the sports pitches. Car parking is available at KLB School. The run starts in Wotton Community Parc. There are several bus services that serve Wotton-under-Edge. Please check the internet for current timetables. From Wotton-under-Edge continue down the school footpath towards Kingwood. You will find KLB School after approximately 1km - you can enter the Parc via the safe path halfway down on the right, or through the school car park. The postcode for sat nav is GL12 8RB. Heading towards Wotton-under-Edge from the north or the south on the motorway (M5 junction 14) drive through Charfield on the B4058 then pass Renishaw New Mills and the Roundhouse Toll building on your left. 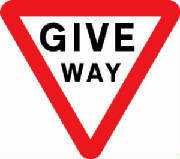 Continue up the hill keeping the Community Parc on your right and take the next turning right (B4060 - signposted Wickwar/Chipping Sodbury). Enter KLB School via the second entrance on your right and park in the Wotton Community Sports Centre car park. Alternatively, leaving Wotton-under-Edge towards Charfield take the first left down the hill out of the town (B4060 - signposted Wickwar/Chipping Sodbury ). Enter KLB School via the second entrance on your right and park in the Wotton Community Sports Centre car park.